Cancer is the one word no one likes to hear from their doctor, but the older we get, the greater are our chances of developing some type of cancer. The risk of developing breast and prostate cancer increases dramatically as we get older. The same is true with colon and rectal cancer. Around 60% of all new cancer diagnoses involve people 65 and older. The treatments for the various types of cancer vary greatly and not everyone can tolerate the same treatment for the same stage of the same cancer. Many doctors like to take an aggressive approach in treating cancer as the more aggressive the treatment is, the greater the chance of remission and survival, but at what cost to the patient? Some older folks are healthier while others may have other physical factors that can have a direct impact of their ability to tolerate the harsh chemotherapy used for many forms of cancer. Sometimes, the medications we take for other conditions can affect the efficacy of cancer treatment. There are many factors that can play a role in whether or not an older person can tolerate or respond to chemotherapy. Many cancer patients have said that their treatment, meaning chemotherapy, is often as bad or worse as than the cancer itself. I spoke with an older guy who had decided to stop his treatment for his cancer. His reason was that the chemotherapy made him so sick for days afterwards that, according to this guy, life wasn’t worth living, so he decided to stop treatment and allow the cancer to take its course. A few months later, I heard that he passed away. This is why the American Society of Clinical Oncology is recommending that all older cancer patients should get a geriatric assessment before undergoing chemotherapy. They believe that first undergoing a thorough geriatric assessment can alert the doctors to other physical issues and even cognitive issues that could impair standard chemotherapy. Learning about these issues before chemotherapy starts can help the doctor, if necessary, modify the treatment regime or dosage of the chemotherapy. By modifying the chemotherapy, the older patient may not get as sick or the doctor will know of a better treatment to use that may not have as many negative side-effects or interact with medications or other conditions the patient may have. 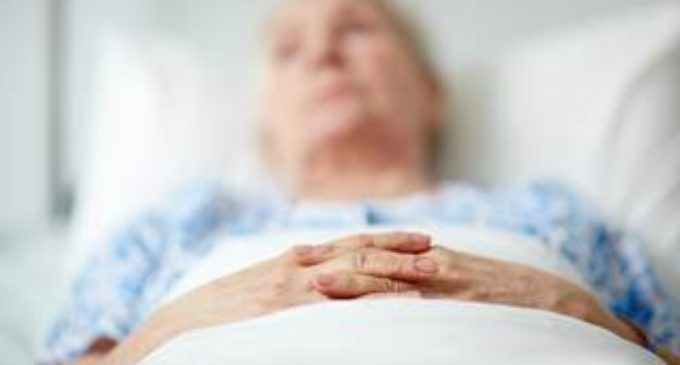 Currently, it is estimated that fewer than 25% of older adults get a geriatric assessment before their chemotherapy, but they are hoping that it will become more common. Not only would geriatric assessments be beneficial for older patients, but for oncologists as well for two reasons. First, most clinical trials for drugs to treat cancer are conducted on younger patients, meaning oncologists are not always aware of how older patients will react to chemotherapy. Secondly, many oncologists don’t receive proper training on how to work with or manage the care of older patients and address their unique age-related needs or limitations. Word to the wise – if you are 60 or older and have been diagnosed with cancer and are looking at undergoing chemotherapy, ask your doctor for a geriatric assessment. If your doctor doesn’t offer it or know what it is, have him/her contact the American Society of Clinical Oncology to learn more about it. Does Marijuana poses more risks than many realize?